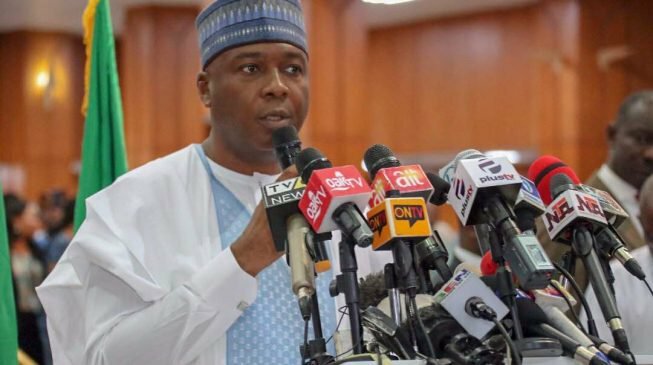 Senate President Bukola Saraki says the “open intimidation and harassment of voters” in the Kwara house of representatives bye-election is sending a wrong signal ahead of the 2019 general election. The Independent National Electoral Commission (INEC) had declared Raheem Ajuloopin, candidate of the All Progressives Congress (APC), winner of the bye-election in Ekiti/Oke-Ero/ Irepodun/Isin federal constituency. He polled 21,236 votes to defeat his closest opponent Saheed Alatise of the Peoples Democratic Party (PDP) who came second with 18,095 votes. The election was conducted following the death of Funke Adedoyin, member representing the constituency. In a series of posts on his Twitter page on Saturday, Saraki accused the ruling All Progressives Congress (APC) of bringing security operatives and thugs into the state to intimidate voters, which resulted into a low turnout. He said the election was held under “tensed and militarized conditions”, while security operatives openly supported the APC and harassed PDP leaders and their supporters. The senate president added that even officials of INEC complained about their own safety. He said such “open display of intimidation and misuse of security operatives” will undermine democracy if not checked.